Sharjah is one of the seven emirates in United Arab Emirates and also the capital city of the Emirates of Sharjah. 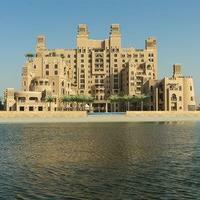 It is also the largest emirate in the UAE. The city is awarded the title of Cultural Capital of the Arab World in 1998 by UNESCO. Sharjah is a ‘dry city’ as alcohol sale and consumption is prohibited here. The city is a perfect blend of traditional and contemporary style and is home to many beautiful mosques. : The weather in Sharjah remains hot throughout the year. The best season to visit Sharjah is during the winter months, between October to April. Even though hotel rates are cheap during the summer season, it is not the ideal time for outdoor activities and sightseeing. 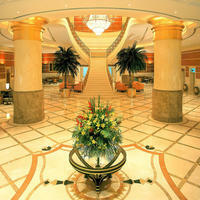 If you are looking to travel to Sharjah during this time, then you will get hotels at a cheap rate. 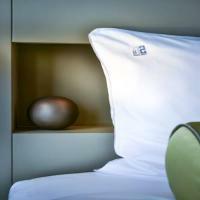 Hotel rates are high during the winter seasons, which are the months of October to March. To avail great offers and discounts, try and book your hotel ahead of time. 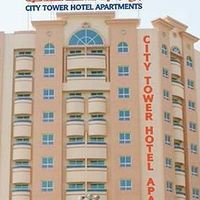 : Location is one of the main determiners of hotel pricing, so, if you are looking for a cheaper hotel, then it is better to choose a hotel that is little away from the main city area. Sharjah has many local buses and taxi services within the city, so you can easily travel around, even if your hotel is located little far from the city. 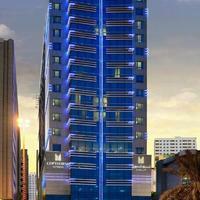 : Before booking a hotel, set your budget. 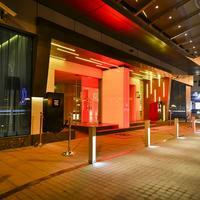 Cleartrip is one of the travel portals which offer a wide range of hotel options in varying budgets. One of the biggest advantages of booking through Cleartrip is that we have price filter as one of the search criteria. So, you can easily find a hotel within your budget. 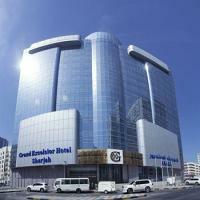 : Before booking a hotel in Sharjah, it is always advisable to check their review online. Another way of finding a hotel is by checking with people you know. 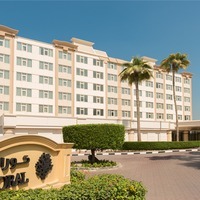 Reviews and references play a great role in finding the best hotel in Sharjah as they give you the clear picture of the facilities and services. 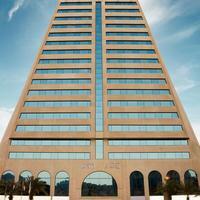 Hotels in/near Corniche Street- Hilton Sharjah, City Tower are some of the top hotels located on Corniche Street. 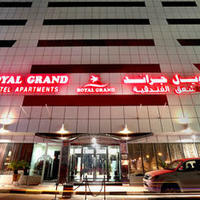 Hotels in/near Al Nahda- Royal Grand Suite, Ramada Hotel and Suites Sharjah, Samaya Hotel Apartments are some of the hotel options in Al Nahda. 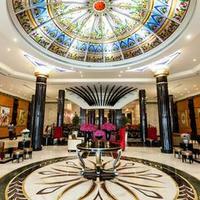 Hotels in/Near Al Khan- Royal Crown Suites, Emirates Hotel Palace, Aryana Hotel are some of the most popular hotels located in Al Khan, Sharjah. All of these hotels can be booked online via Cleatrip. Hotels in/ Near Waterfront- Waterfront beach offers some great options to stay. 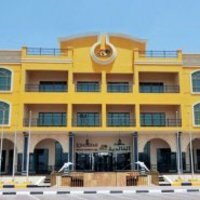 Beach hotel Sharjah, Coral Beach, Verona Resort, Royal Beach Resort are some of the beach resorts and hotels located in Waterfront beach in Sharjah. By Flight: The nearest airport is Sharjah International Airport which is located at a distance of 1 km from the city centre. It is very well connected to major cities in the Middle East, parts of Europe and West Asia. There are 23 major international air carriers and 13 cargo carriers operating out of Sharjah including Air Arabia, Air India, Qatar Airways, Emirates and many more. By Bus: Sharjah is well connected to Dubai and Abu Dhabi by bus. One of the major bus operators is Mowasalat. 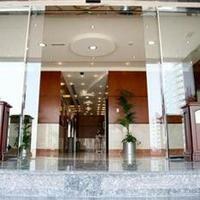 Based on your budget, you can easily find hotels in Sharjah via Cleartrip website. 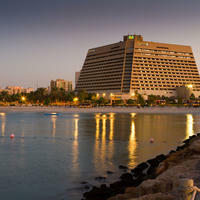 Starting from AED 1207 to AED 7577, you can choose the best hotel in Sharjah as per your preference. Restaurants in Sharjah provide a range of cuisines to choose from-Indian, Japanese, continental and European. Sharjah Arts Museum- It is the largest Arts Museum in United Arab Emirates. 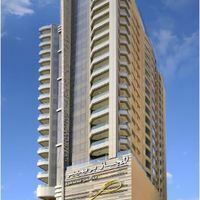 It is situated in Off Corniche Street. Central Market-Located in Khalid Lagoon, it is one of the most famous landmarks in Sharjah. It has 600 shops selling gold and jewelry, clothing, perfume, electronics, food and gift-type items. Sharjah Museum of Islamic Civilization- It is one of the best places to learn more about the Arab and Islamic culture. 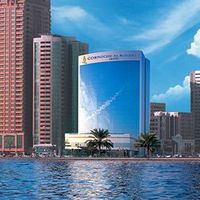 It is located on Corniche Street. Al Noor Island- It is a public park created in Khalid Lagoon. It is famous for shopping and museum exploring. Sharjah Maritime Museum- One of the main highlights of this museum is glimmering pearls and the beautiful wooden dhow docked outside the museum. 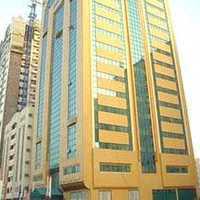 It is located in Off Al Meena Street. Souk Area- For shopping souk, it is one of the best places in Sharjah. fish souk and fruits and vegetable souk are the highlights. Al Qasba- One of the main attraction here is the 60-meter-high Eye of the Emirates observation wheel. It is also one of the top nightlife destinations and has plenty of cafes and restaurants. Culture: Sharjah is known as the cultural capital of Arab World. Some of the cultural events hosted in the city are Arts Festival, Sharjah Light Festival, Al Qasba Food Festival, Ramadan, Summer Shopping Festival and Sharjah Water Festival. People: It is a conservative city and has a strict conservative dress code for both men and women and also the tourists visiting the city. Language: Arabic is the official language of Sharjah. English, Hindi and Urdu are amongst the widely spoken languages. Food: Sharjah is famous for meat and fish specialties, savoury herbs and spices, freshly baked bread and side dishes like rice. Shopping: Sharjah's has many places to shop like malls, individual boutiques, souks and bazaars. You can buy electronic goods, handcrafted souvenirs, sweets, dates and spices. Shopping in Sharjah is tax free, so you can get some great deals on certain items. Ajman- Sharjah is 11 km away from Ajman. Dubai- Sharjah is at a distance of 20 km from Dubai. Ras Al Khaimah - Distance between Sharjah and Ras al-Khaimah is 76 km. Abu Dhabi- Distance between Abu Dhabi and Sharjah is 143 km. Sharjah witnesses hot desert climate as it is surrounded by the desert. May to September is extremely hot with temperature reaching up to 50 degrees Celsius. October to February is the winter months, but it remains warm with an average temperature of 32 degree Celsius. The weather in Sharjah is generally hot throughout the year, but the best season to visit Sharjah is during the winter months. The best time to visit Sharjah is from October to April. May to September are the summer months with temperature increasing to 40 deg C. This is also the time for Ramadan festival, so there would also be several restrictions on eating, drinking and activities. 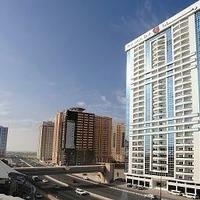 Consider the above before booking the hotel in Sharjah during these months. 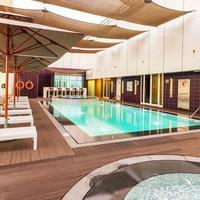 Even though the hotel rates would be cheap during these months but it is certainly not the best time to visit as the hot climate and humidity would make it uncomfortable for outdoor activities and sightseeing. The best time to visit Sharjah is between October and April. The weather is pleasant and this season is often tagged as the peak tourist season. Hotel rates would be high during this season, so ensure that that you book your hotel stay well in advance to get the best rates. Sharjah Light Festival- The light festival takes place at different locations like Al Noor Mosque, Al Qasba, Al Majaz Amphitheatre, Al Majaz Waterfront and many more in the month of February. Sharjah Shopping Festival- The Sharjah Shopping festival is organised during summer for many days. It is the best time to enjoy attractive deals, discounts, sales and various activities. Sharjah Ramadan Festival- Ramadan, which is the holy month in the Islamic calendar is the time when muslims fast from sunrise to sunset along with praying. During this festival, lot of promotional, cultural, social, religious, artistic, and healthcare-related events are conducted in Sharjah. Sharjah Water Festival- The Sharjah Water Festival, which is celebrated every December in the Khaled Lagoon includes fireworks and events for kids, games, acrobatic shows and entertainment and musical performances. The final round of the prestigious championship, the International World Championship Formula 1 Powerboat, Sharjah Grand Prix is held at the end of this festival.